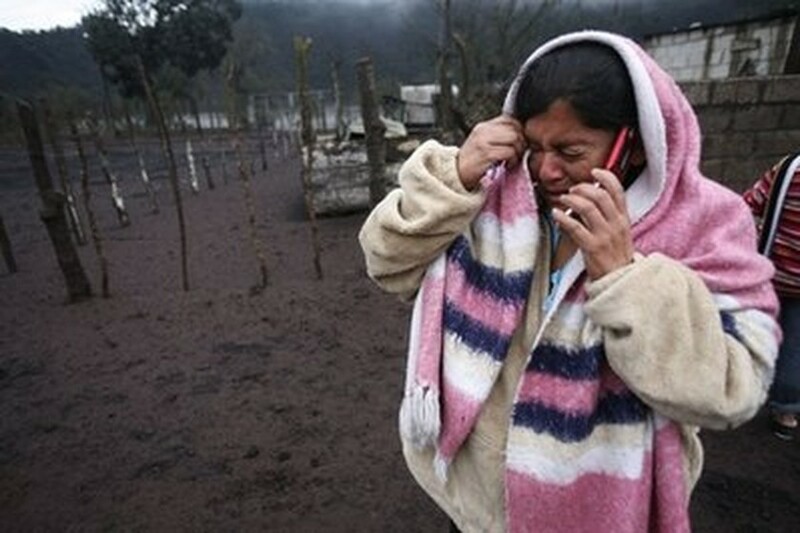 In Guatemala, at least 1,910 people from villages closest to the Pacaya volcano were moved to shelters. Some 800 homes were damaged in the initial eruption late Thursday. A second eruption at midday Friday released ash in smaller amounts from the 8,373-foot (2,552 meter) mountain, according to the Central American country's Geophysical Research and Services Unit. The unit reported an ash plume 3,000 feet (1,000) meters high that trailed more than 12 miles (20 kilometers) to the northwest. The blanket of ash was three inches (7.5 centimeters) thick in some southern parts of the city. The government urged people not to leave their homes unless there was an urgent need.